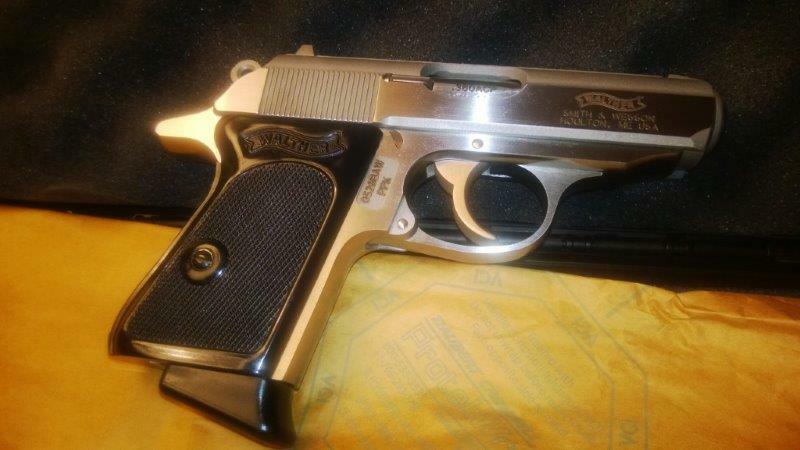 Recent S&W-made Walther PPKs - barrel machining problems! 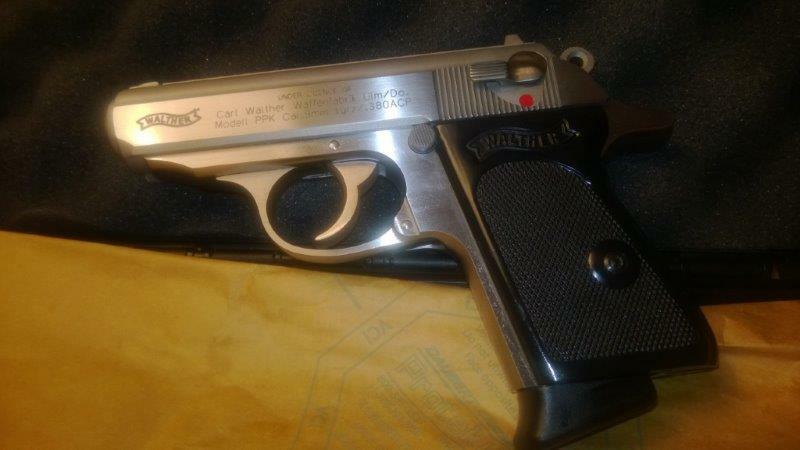 I have been hunting for a new stainless Walther PPK or PPK/S for a very long time. It is an iconic gun - among its achievements are killing Hitler, enchanting millions of viewers in James Bond movies, and spawning innumerable clones such as Makarov, CZ 82, and many more. Throughout the years I have acquired a few in my collection, but I wanted a shooting piece, and I wanted to carry them in my store. Unfortunately, they seem to be very difficult to find - my distributors never had them in stock. I finally saw them last week, and instantly snapped 3 pistols. They arrived last Friday. At the first sight, the pistols were everything I expected them to be. Great looks, nice heft, easy to grip, good sights. They were made by S&W - the only negative part, as I would have preferred a German-made model. But on the other hand they were PPK, not PPK/S, which was a compensating factor, as the frame is more original. (You can read up on Walther's various models and production history in the Wikipedia's most excellent article on this pistol). I do not routinely inspect the bores of the new firearms that arrive in my inventory - especially of those coming from premium makers, such as S&W. 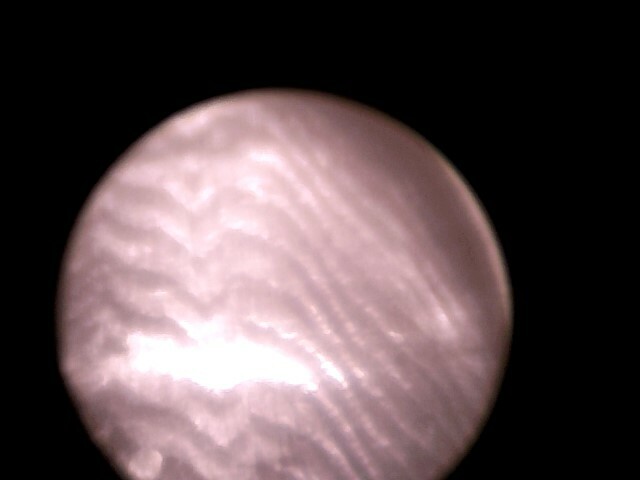 But I have just bought a few older Arisakas, and the borescope was out to look at these, so I took a peek inside. What I found was surprising. Barrels of many new guns come well fouled, as they are usually shot - sometimes, quite a bit - at the factory. So you would often see some carbon. Older rifles, even when bores are well preserved, often have tool marks in them, but this is rarely the case in new pistols - the shorter, wider bores are fairly easy to make, and so new pistols always come with bright mirror, uniform bores, at least after the carbon resulted from factory testing was swept away. This was not the case here. The throats had ribbed surface, as if they were plowed through by a microscopic tank. There were also small marks near the muzzle. 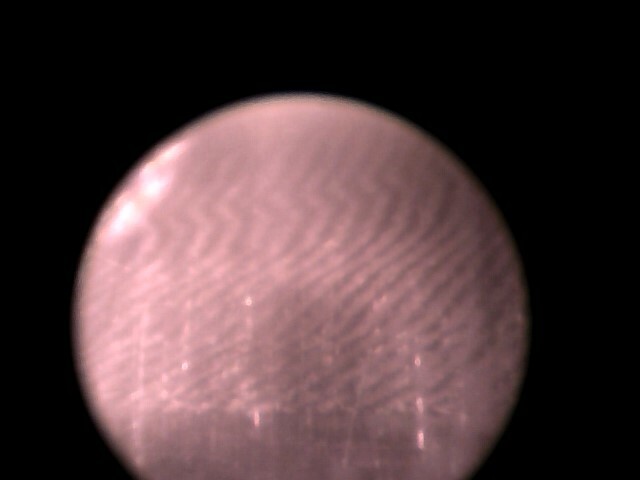 Surprised, I withdrew the borescope, and looked down the barrel. Yes, I could see a blemish extending for roughly half an inch from the chamber and into where the rifling of the throat should be. I then looked into the other two pistols. The first one I looked at turned out to be the worst, but the other two were pretty bad as well. I proceeded to clean the factory carbon out, and looked again. Same thing. I then took the following videos from all three pistols. Notice how the rifling goes from some imperfections at the muzzle, to perfectly smooth - as it should be - in the middle of the barrel - to the ribbed surface in the throat area. I proceeded to call Walther, but they did not seem to be very interested in exploring the problem - just told me to return the pistols back to the distributor. The fact that all three had the same defects, and they weren't even consecutively numbered, did not seem to interest them much. They did not respond for my requests to comment submitted from their web site with the pointer to this report. A bore like this cannot be a feature of a $600 pistol, and I cannot in a good faith sell them to the public - so return them to the distributor I definitely will. Will I give Walther another chance? Not certain, but right now it seems safer to me to stick with older production pistols, and avoiding those made in the US. Update 1/11/2014 I have bought two more of these - this time, PPK/S, from a different distributor. The throats are exactly the same. It looks like this was not a bad batch - this is how S&W makes these pistols.